We will begin our Fall Worship schedule on Sunday, September 9 with services at 8:15 and 10:30. Sunday school will begin on September 9 with the Family Service at 9:15 – please meet in the church. The Adult Class will begin on September 16 at 9:30. 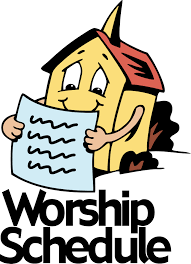 Family Worship Services will be held on the second Sunday of each month for the 2018/19 school year.